Detail, title page of the 1890 edition. Emerson took more pleasure in the observatory than in anything else. “Of all tools, an observatory is the most sublime. And these mountains give an inestimable worth to Williamstown & Massachusetts. But for the mountains, I don’t quite like the proximity of a college and its noisy students. To enjoy the hills as poet, I prefer simple farmers as neighbors.” Fortunately, while Emerson was looking up, Charles Woodbury, noisy student or not, was writing him down. Talks with Emerson records the acquaintance. I reprint below some of the best things in its opening chapter (most of which concerns the practical side of writing). The most interesting writing is that which does not quite satisfy the reader. Try and leave a little thinking for him; that will be better for both. The trouble with most writers is, they spread too thin. The reader is as quick as they; has got there before, and is ready and waiting. A little guessing does him no harm, so I would assist him with no connections. If you can see how the harness fits, he can. But make sure that you see it. Then you should start with no skeleton or plan. The natural one will grow as you work. Knock away all scaffolding. Neither have exordium or peroration. What is it you are writing for, anyway? Because you have something new to say? It is the test of the universities, and I am glad you have made it yours. We don’t want pulse with no legumes. To make anew and not from others is a grand thing. You can always tell when the thing is new; it speaks for itself. And even among the unlettered, it declares well enough and strong enough. From this is the projection of idioms. But add true, and make sure of this. Without such sanction, no one should write. Expression is the main fight. Search unweariedly for that which is exact. Do not be dissuaded. You say, know words etymologically. Yes, pull them apart; see how they are made; and use them only where they fit. Avoid adjectives. Let the noun do the work. The adjective introduces sound, gives an unexpected turn, and so often mars with an unintentional false note. Most fallacies are fallacies of language. Definitions save a deal of debate. Neither concern yourself about consistency. The moment you putty and plaster your expressions to make them hang together, you have begun a weakening process. Take it for granted the truths will harmonize; and as for the falsities and mistakes, they will speedily die of themselves. If you must be contradictory, let it be clean and sharp as the two blades of scissors meet. Are your theses given, or do you select? It is well enough rarely for practice to treat on a suggested subject. But such writing is at its origin derived and a peril. Out of your own self should come your theme; and only thus can your genius be your friend. Eloquence, by which I mean a statement so luminous as to render all others unnecessary, is only possible on a self-originated subject. Don’t run after ideas. Save and nourish them, and you will have all you should entertain. They will come fast enough, and keep you busy. Reading is closely related to writing. While the mind is plastic there should be care as to its impressions. The new facts should come from nature, fresh, buoyant, inspiring, exact. Later in life, when there is less danger of imitating those traits of expression through which information has been received, facts may be gleaned from a wider field. But now you shall not read these books—pointing—Prescott or Bancroft or Motley. Prescott is a thorough man. Bancroft reads enormously, always understands his subject. Motley is painstaking, but too mechanical. So are they all. Their style slays. Neither of them lifts himself off his feet. They have no lilt in them. You noticed the marble we have just seen? You remember that marble is nothing but crystallized limestone? Well, some writers never get out of the limestone condition. Be airy. Let your characters breathe from you. Walk upon the ground, but not to sink. It is a fine power, this. Some men have it, prominently the French. How it manifests itself in Montaigne, especially Cotton’s translation, and in Urquhart’s ‘Rabelais‘! 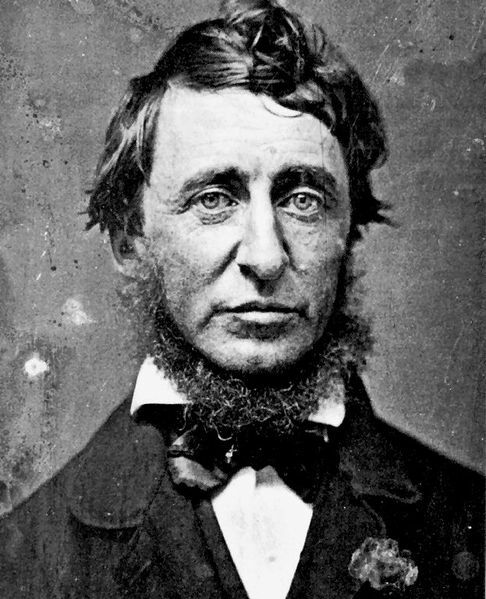 Grimm almost alone of the Germans has it; [George] Borrow had it; Thoreau had it; and James Wilson—sometimes. Keep close to realities. Then you accustom yourself to getting facts at first hand. If we could get all our facts so, there would be no necessity for books; but they give us facts, if we know how to use them; they are the granaries of thought as well. N.B. : Perhaps worth noting is that Robert Frost, at about the time Woodbury’s volume appeared, read William Hickling Prescott’s Conquest of Mexico (1843); the book provided him matter for his first published poem, “Le Noche Triste.” Frost also retailed President Garfield’s quip about Mark Hopkins, whenever occasion offered; he certainly needn’t have encountered the anecdote in Woodbury’s book. George Bancroft’s multi-volume history of the United States was standard fare when Woodbury was a student. 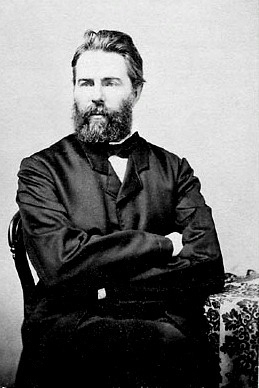 John Lothrop Motley authored a number of books on European and American history and served as Lincoln’s ambassador to the Austrian Empire. Presumably the James Wilson mentioned here is the patriot, polemicist, soldier; the signer and framer of the Constitution; and, later, the Associate Justice of the Supreme Court. Charles Cotton‘s translation of Montaigne appeared in three volumes (1685-86). Sir Thomas Urquhart published most of his translation Rabelais in 1653; the rest appeared posthumously, with revisions by Peter Anthony Motteux, in 1693. George Borrow (British novelist and author of travelogues) was a contemporary of Emerson.